The Christians had no creed but the Bible, worshiped one God and one Lord, and waited for His hour of judgment. As the Christians spread across America, the 19th century witnessed an abundance of authors embracing the Begotten Belief. The age of Philadelphia made prominent “many who had not denied” the name of Jesus [Revelation 3:8] Everywhere one turned the begotten Son was offered as the explanation for his deity. 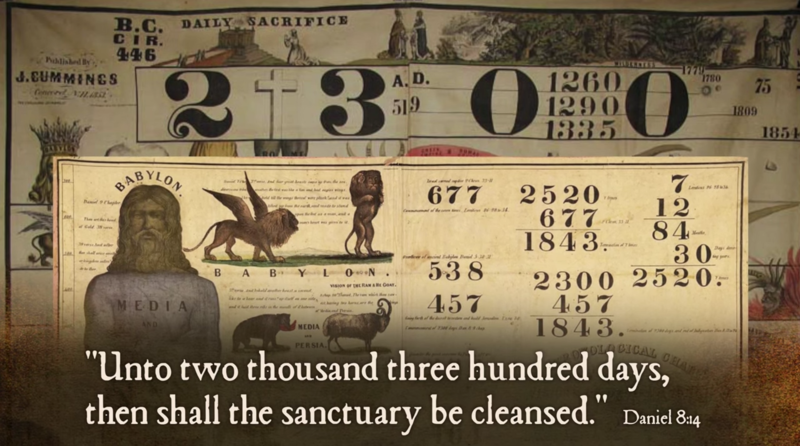 At the same time a revival was sweeping the world—a revival based on a single text of scripture: “Unto two thousand three hundred days, then shall the sanctuary be cleansed.” Daniel 8:14. 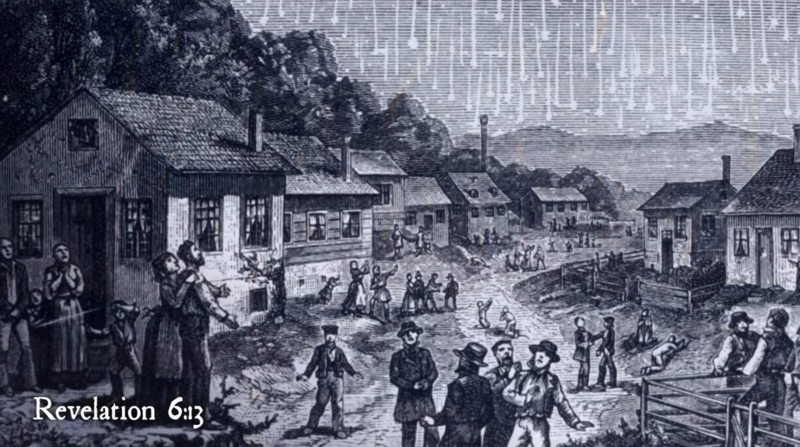 The conviction that this prophecy, written 600 years before Christ, was soon to be fulfilled, compelled numerous preachers to give the warning: “The end of the world was at hand.” The exceptional meteoric shower of 1833 was recognized as a direct fulfillment of the “falling stars” in Revelation 6:13. Seen around the world… the event of November 13 was viewed and reported by all as a sign of the end. Foremost in preaching the imminent return of Jesus, was a Baptist minister in Low Hampton, New York, William Miller. 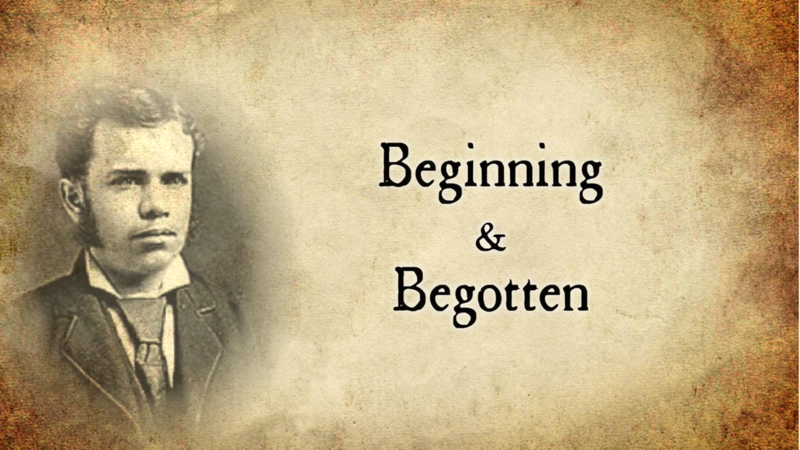 Though for years a deist, Miller determined to study the Bible for himself, and for two years examined every prophecy in Scripture and discovered a number of exegetical principles which he called Rules of Interpretation. Using these, he found the Bible to be consistent and reliable in predicting the course of history. Convinced by the events of 1833 that he must take his findings to the world, he began to preach the soon return of Jesus before growing crowds of eager listeners. Joshua V Himes, a Christian Connection pastor and editor of several papers, became Miller’s press agent and promoter. Himes purchased a large tent where Miller could present his findings throughout the northeast. Thousands packed the tent and meeting halls to hear the stirring message of Christ’s soon return. Believing that the sanctuary to be cleansed was the earth and the cleansing would be by fire, Second Advent fever soon gripped the nation. 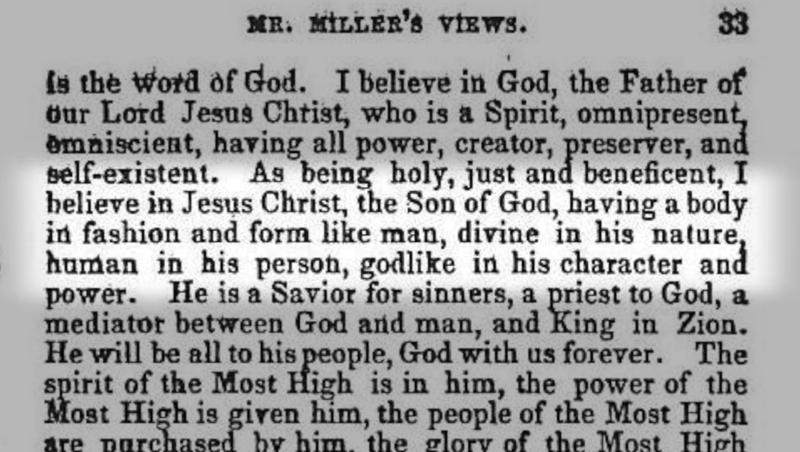 Sylvester Bliss published Miller’s confession of faith in his book with a signed statement from 1822. 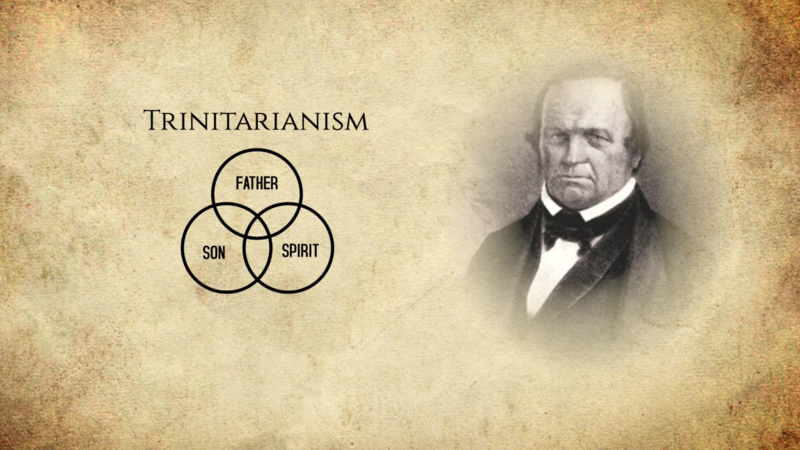 At that time, Miller believed “in one living and true God”, “three persons in the Godhead”, and thus “the Triune God.” Miller was, after all, a Trinitarian Baptist. But after ten years of associating with Joshua Himes, his confession of faith in 1842 was very different. “I believe in God, the Father of our Lord Jesus Christ, who is a Spirit, omnipresent, omniscient, having all power, creator, preserver, and self-existent...I believe in Jesus Christ, the Son of God, having a body in fashion and form like man, divine in his nature, human in his person, godlike in his character and power. He is a Savior for sinners, a priest to God, a mediator between God and man, and King in Zion...The spirit of the Most High is in him, the power of the Most High is given him, the people of the Most High are purchased by him, the glory of the Most High shall be with him, and the kingdom of the Most High is his on earth." 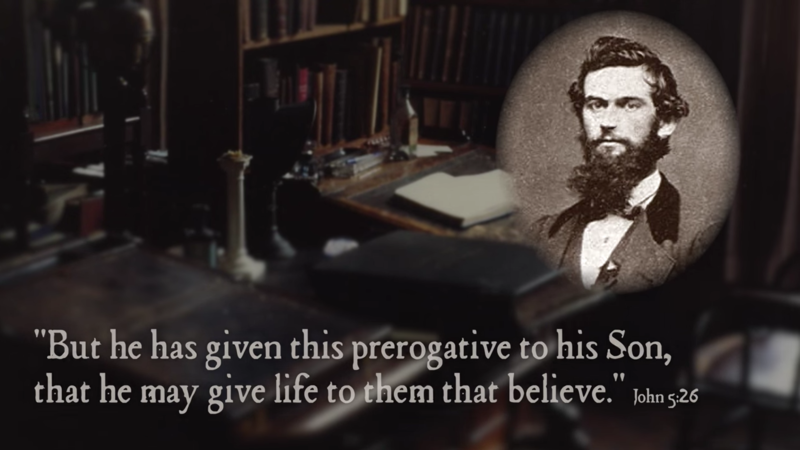 The message resumed again In 1847 as Samuel Minton rediscovered Matthew Henry’s use of exelthon in John 16:27-30. 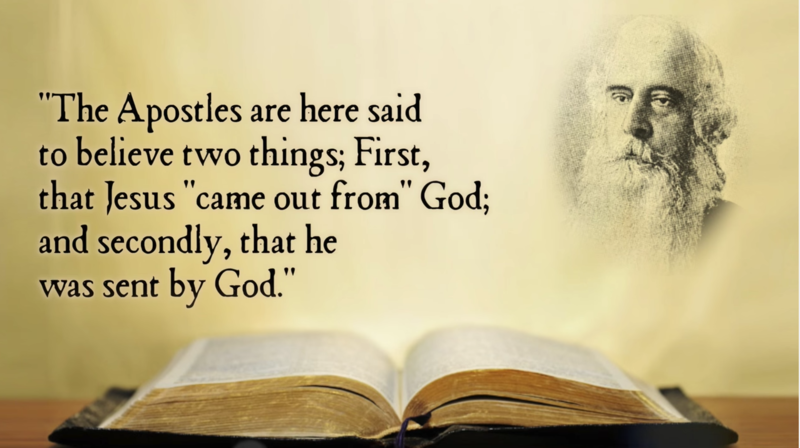 “The Apostles are here said to believe two things; 1st, that Jesus “came out from” God; and 2ndly, that he was sent by God.” The Pre-Existence of Christ, Lecture XI, p. 140, 1847. 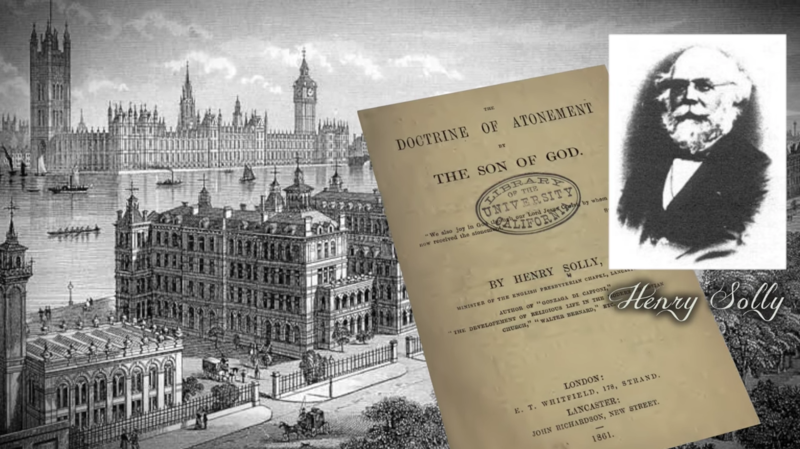 In London, Henry Solly (1813-1903) published The Doctrine of atonement by the Son of God in 1861. “In the words ‘proceeded forth,’ exelthon, something more certainly appears to be implied than that our Lord had merely received a commission from God in the same way as Moses or John the Baptist received it. If he had intended us to understand merely that Christ was divinely commissioned, there were several words quite fit for such a meaning, without taking one that implies a great deal more.” The Doctrine of atonement by the Son of God, Henry Solly, 1861, pp. 45, 46. 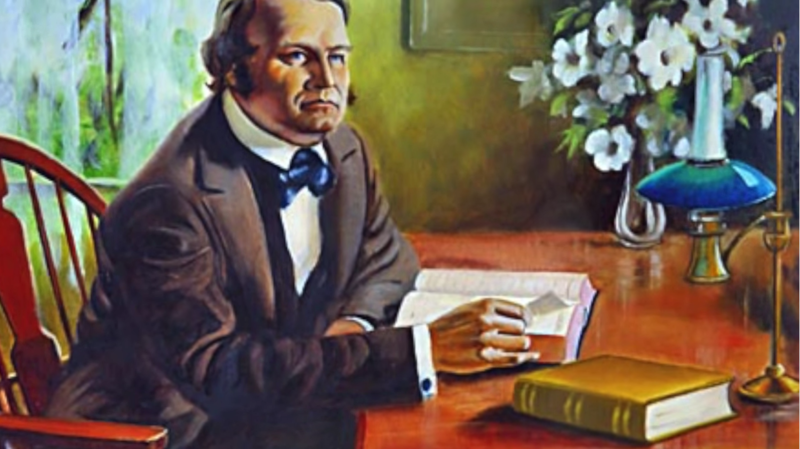 Roswell Fenner Cottrell (1814-1892) preacher to the Seneca indians, counselor, writer, and poet, also wrote of the Father, the source of immortality, and His giving of this life to His Son. “God ‘only hath immortality.’ He is the one fountain from which all life is derived. But he has given this prerogative to his Son, that he may give life to them that believe…John v.26” Review & Herald Mar 15, 1864. 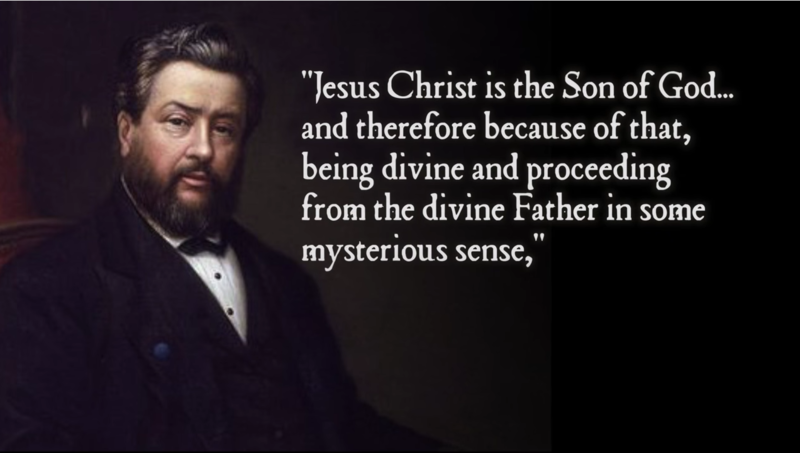 Spurgeon also taught the inherited divine nature of Christ. 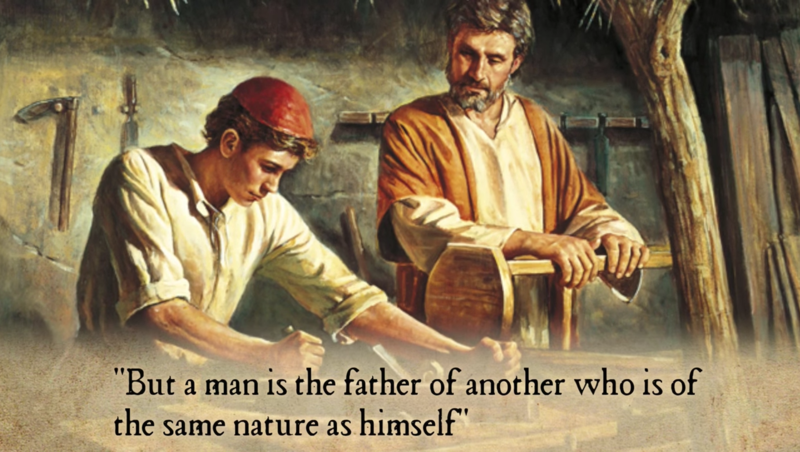 “A man is the father of a man; a man is not the father of that which he makes with his own hands, such as a statue or a painting; but a man is the father of another who is of the same nature as himself, and the Lord Jesus Christ is of the same nature as God in all respects—a true Son. 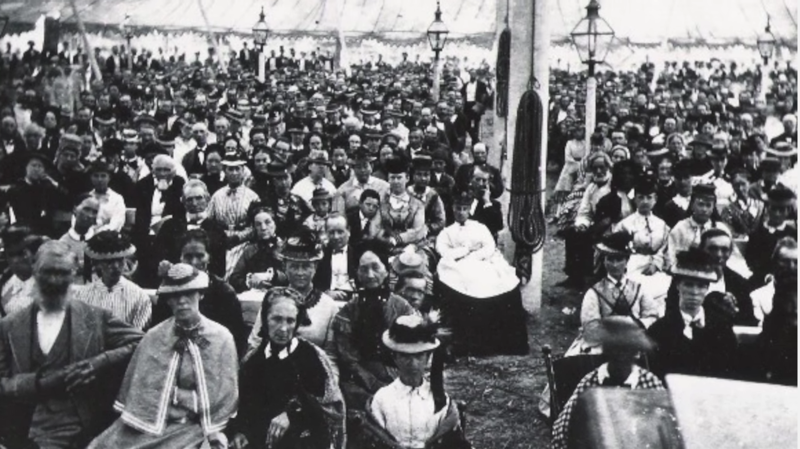 The Lord Jesus Christ is equal in nature to the Father, and therefore he counts it not robbery to be equal with God, and he receives the same honor and worship as the Father,” Sermon 1727 The Voice from the Cloud, June 24, 1883. 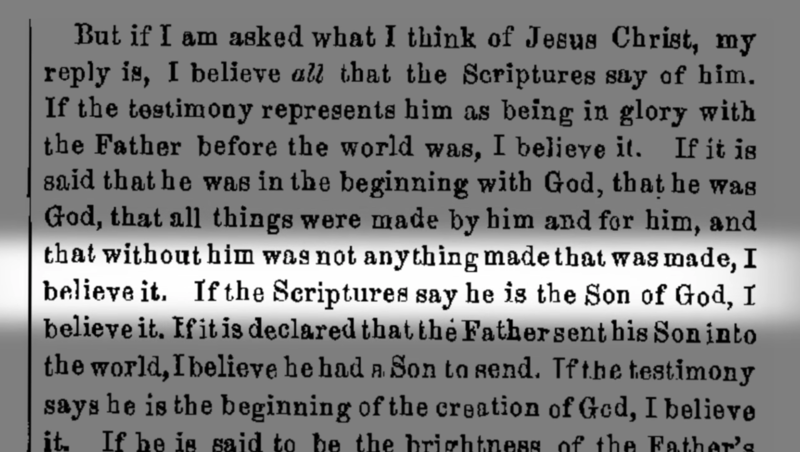 Spurgeon understood that it was the Son of God who was actively involved in the Genesis creation. “It was with the Son of God that the Father took counsel when he said, “Let us make man in our own image, after our likeness.” Ibid, Sermon 1727. 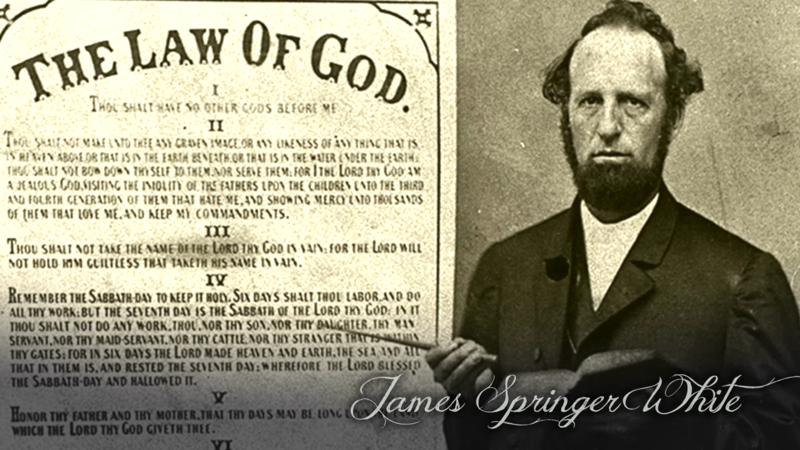 James Springer White, (1821-1881) a Christian Connexion minister and early founder of the Seventh-day Adventists, used the same expression 15 years earlier. "The Father and the Son were one in man's creation, and in his redemption. Said the Father to the Son, “Let us make man in our image.” James White, The Law and the Gospel International Tract Society, Life Incidents, 1868. 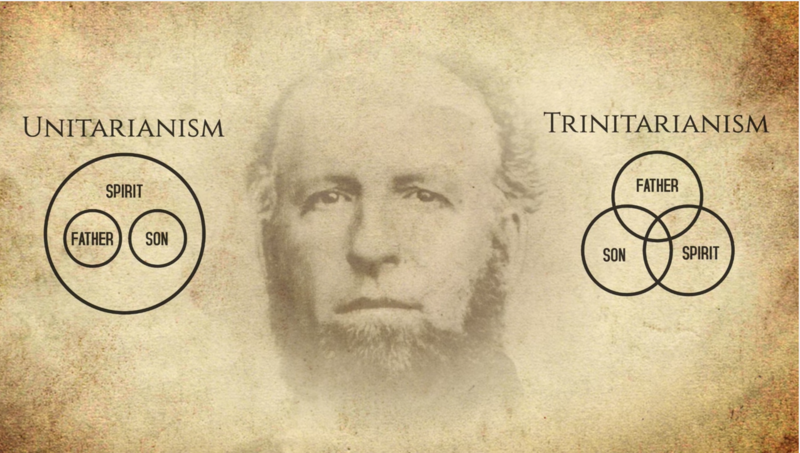 The Adventists continually found themselves in a position between two extremes: Unitarianism and Trinitarianism. “The former makes the ‘only Begotten of the Father,’ a mere mortal, finite man; the latter makes him the Infinite, Omnipotent, All-wise, and Eternal God, absolutely equal with the Everlasting Father. Now, I understand the truth to be in the medium between these two extremes.” James White, Review & Herald Nov. 21, 1854. J. Cynddylan Jones, (1841-1930) a Welsh minister, almost 30 years later in 1884, also considered the exelthon scriptures. 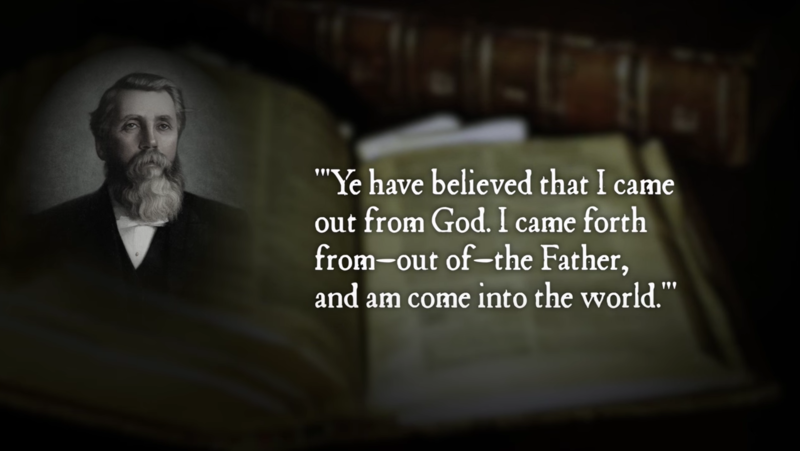 “‘Ye have believed that I came out from God. I came forth from—out of—the Father, and am come into the world.’ Not only He came from God, but He came out of God. John the Baptist came from God: But Jesus Christ came, not from God, but out of God—He emerged from His central essence, ‘And He came into the world’—not to it, but into it: out of God into the world”. The Autobiography Of Elder Joseph Bates, 1868, page 204. 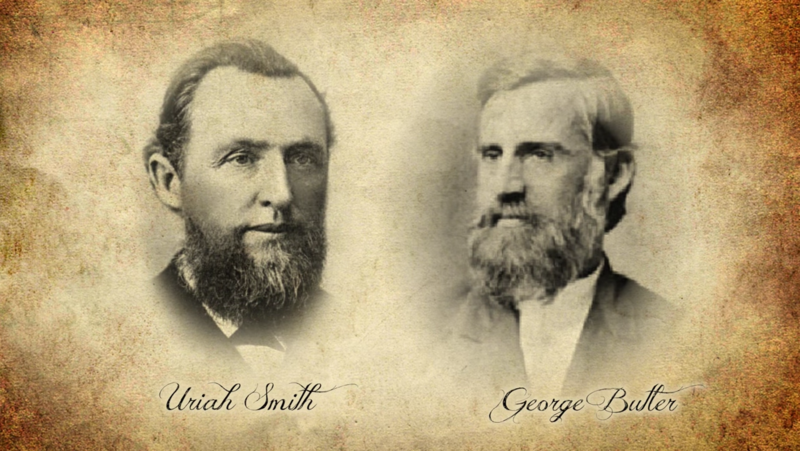 Like James White, Joseph Bates rejected the spiritualization of the Father and the Son. Both Unitarians and Trinitarians had to reject the literal Sonship of Christ and the literal fatherhood of God because they conflicted with the definitions which each doctrine imposes. Unitarianism eliminates the persons and settles for personalities, so there could be just one.Trinitarianism likewise eliminates the true Father-Son relationship and settles for just titles, so there could be three. But Bates, the retired sea captain, could accept neither. He preferred to sink his anchor into the solid Rock of God’s literal word. 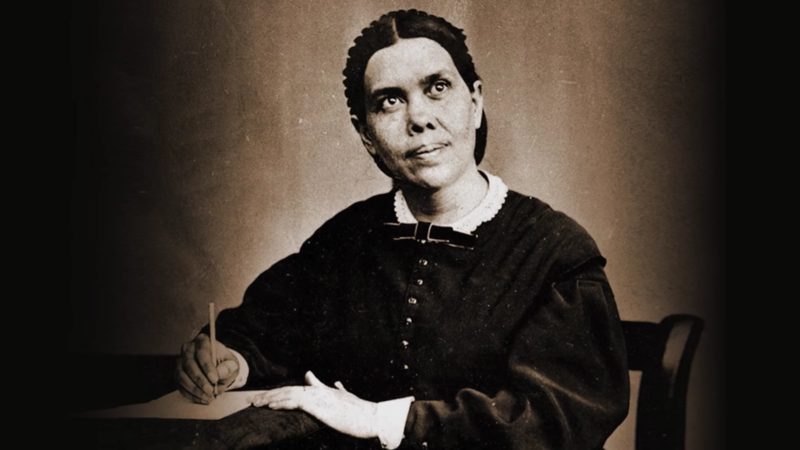 Ellen White, who helped her husband, James, form the young Adventist church, not only shared her husband’s view of God, but defended both Loughborough and Cottrell. In her first book on the life of Christ, written in 1877, she described Christ’s response to the Jewish leaders who condemned him in John 5:18 for calling God his Father and making himself equal with God. "The humble Nazarene asserts his real nobility. He rises above humanity, throws off the guise of sin and shame, and stands revealed, the Honored of the angels, the Son of God, equal with the Creator of the universe. … 'For as the Father hath life in himself, so hath he given to the Son to have life in himself'" [John 5:26]. 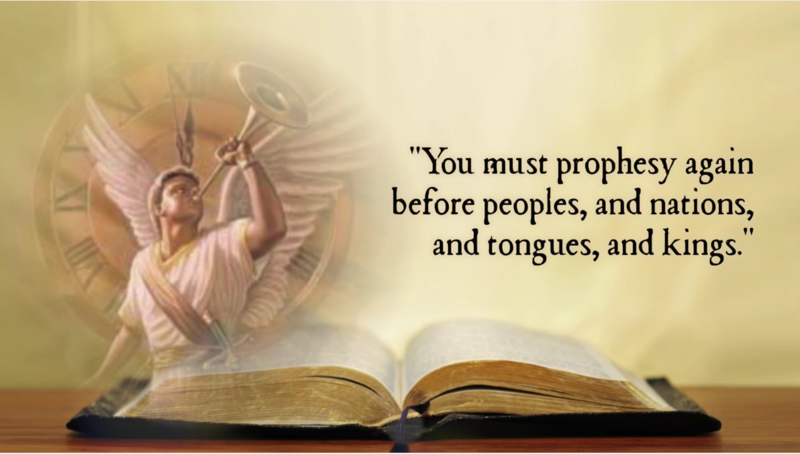 The Spirit of Prophecy Vol. 2 p. 167, 168. John 5:26 was often recited by the Adventists until the 1950s. For example, C.C. Lewis Review & Herald Sept 16, 1884 E.J. Waggoner Bible Echo & Signs of the Times Oct 1, 1889 R.A. Underwood Review & Herald Aug 6, 1889 W.W. Prescott Bible Conference Transcripts July 6, 1919 George W. Rine ST March 30, 1926 J. Adams Stevens Signs of the Times, Jan 15, 1929 G.F. Enoch Eastern-Tidings Southern Asia Division, June 1, 1934 C.H. Watson The Atoning Work of Christ, 1934 W.R. Carswell Signs of the Times Aug 2, 1937 J.L. Shuler Review & Herald Nov 2, 1939 Alma E. McKibbin Signs of the Times, Jan 16, 1945 Dallas Youngs Signs of the Times, Feb 15, 1949 Jerry Lien Signs of the Times, Jan 31, 1950 Bible Answers Canadian Signs of the Times June 1954 p. 5. 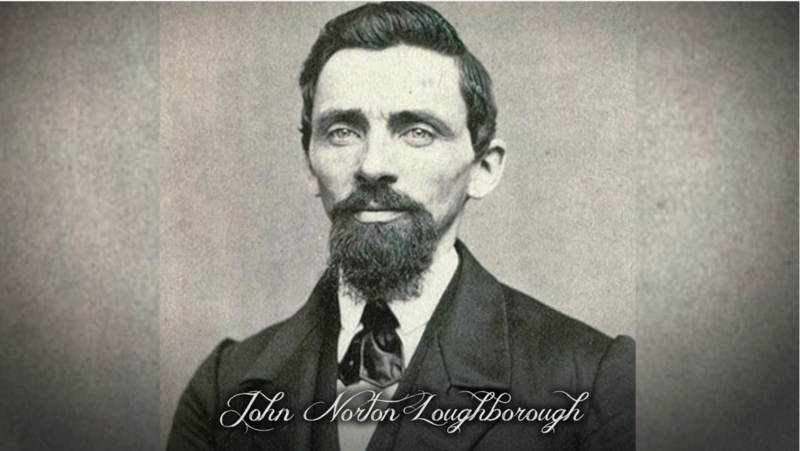 For 90 years these Adventist authors recognized the true flow of life from the Father to the Son, repeatedly quoting John 5:26. But after 1954, the text mysteriously vanished from any further Adventist publications. Ellen White clearly understood the Father and Son. “Christ...was the Majesty of heaven, equal in dignity and glory with the infinite God. 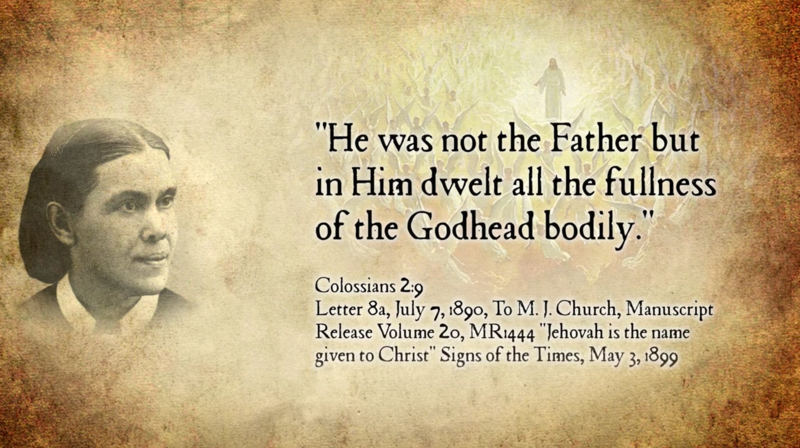 He was God manifested in the flesh.” “He was not the Father but in Him dwelt all the fullness of the Godhead bodily,..” Letter 8a, 1890. 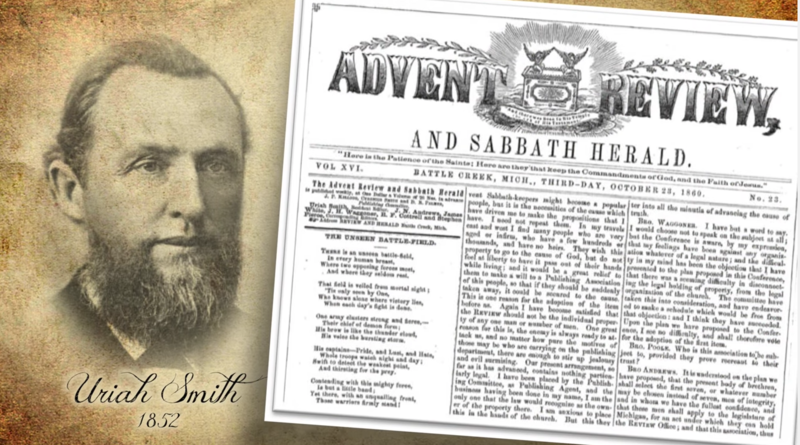 Uriah Smith joined the Adventists in 1852. Two years later he became editor of its church paper, the Review and Herald, a post he kept for over 40 years. Smith was a prolific writer. In 1862 he began presenting a series of articles: “Thoughts on Revelation.” Interestingly, this early version made no comment on Rev. 3:14. But when published in expanded book form three years later, he included the following comment: “Moreover he [Christ] is ‘the beginning of the creation of God.’ Not the beginner, but the beginning, of the creation, the first created being, dating his existence far back before any other created being or thing, next to the self-existent and eternal God.” (Uriah Smith, Thoughts Critical and Practical on the Book of Revelation, Battle Creek, Michigan: Steam Press of the Seventh-day Adventist Publishing Association, 1865/7, p. 59.) 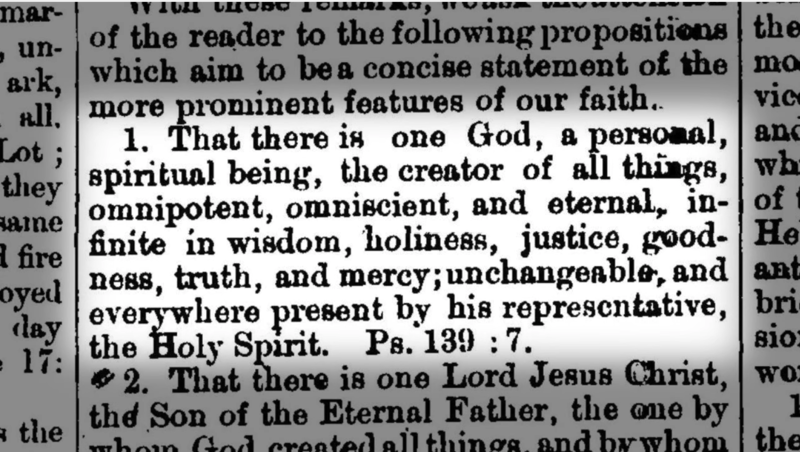 Whether Uriah equated “created” with “begotten (as many still do today) or truly espoused Arianism (as he is so often charged), he quickly changed his wording to “begotten” and altered his position in the next edition. 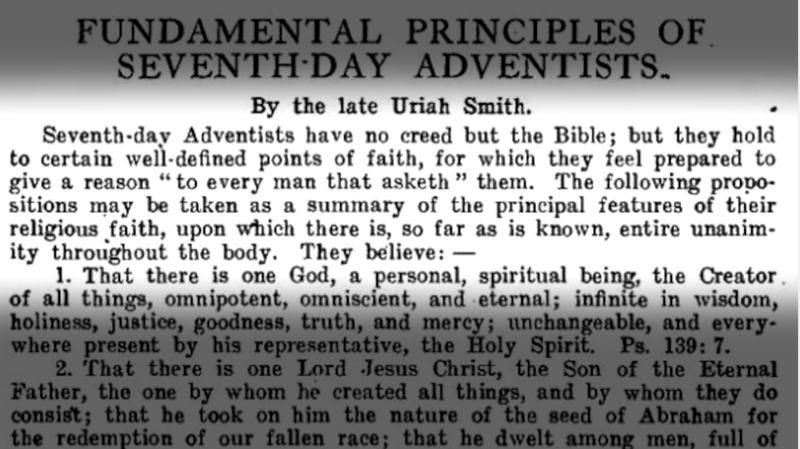 Uriah Smith was also credited with formulating the young Adventist denomination’s original 25 Fundamental Principles in 1872. 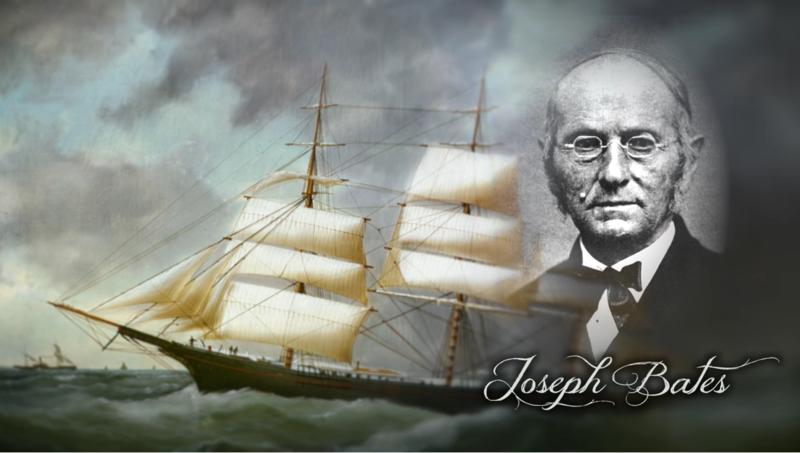 He called them “a synopsis” of the Adventist faith. The introduction carefully stressed that the Advent people had no creed “aside from the Bible” but their system of faith enjoyed “entire unanimity” among them. James White first published them in the new West Coast periodical, Signs of the Times in its very first issue on June 4, 1874. The first two Principles remained unchanged in later printings of the Church Year Books and other official periodicals until 1914. That there is one God, a personal, spiritual being That there is one Lord Jesus Christ, the Son of the Eternal Father These are direct expressions taken from 1Corinthains 8:6, “There is one God, the Father, of whom are all things…and one Lord Jesus Christ by whom are all things.” This text was the basis of the Nicean Creed and almost every creed since. But the Adventists were adverse to creeds. Like the Christian Connection, they held no creed but the Bible. Yet this list of Fundamental Principles was accepted "so far as is known" with "entire unanimity" for nearly 70 years. 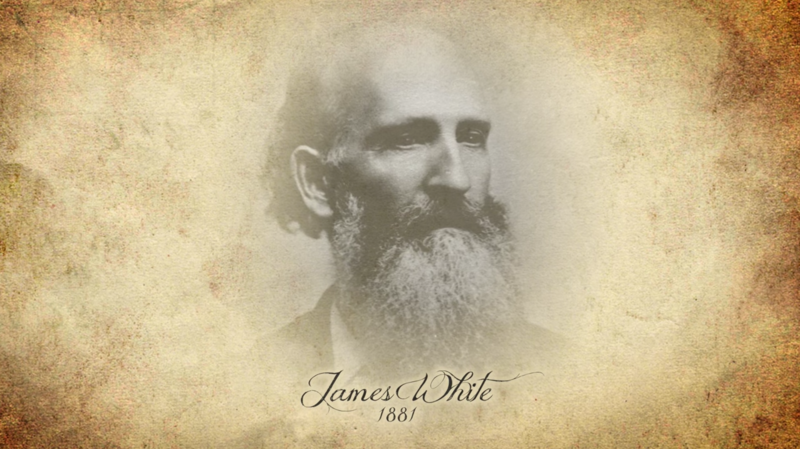 James White carried his conviction of the begotten Son throughout his life. Now in 1881, Just 7 months before his death he wrote, “The Father is the greatest in that he is first. The Son is next in authority because he has been given all things.” Review & Herald, Jan 4, 1881. Following the death of James White, young physician E.J. Waggoner was assigned editor of the new West Cost periodical, The Signs of the Times, in Oakland, California. 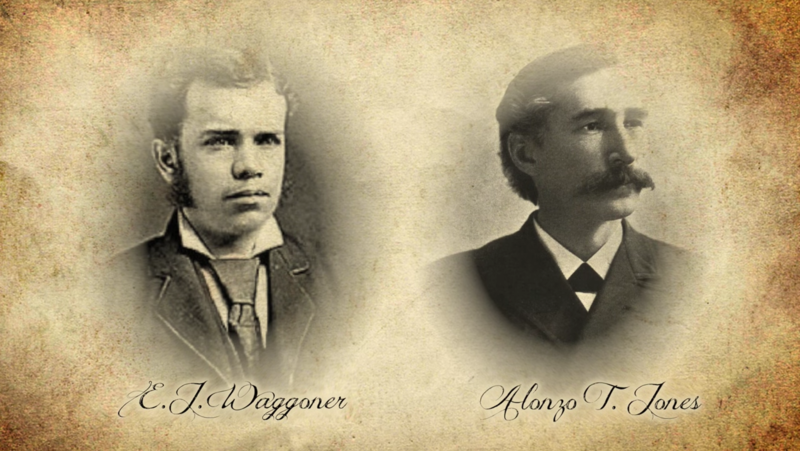 Waggoner and his co-editor, Alonzo T. Jones, began writing a number of articles in 1885 that challenged the church’s view of the Moral Law and Righteousness. The senior leadership, led by General Conference president, George Butler, and Review editor, Uriah Smith, in Michigan, had growing concern that the west coast editor’s emphasis on faith would diminish the church’s focus on “those who keep the commandments of God” which include the seventh day Sabbath. The Adventist ministers and teachers were to gather for the next General Conference in Minneapolis, Minnesota to discuss, plan, and deliberate. 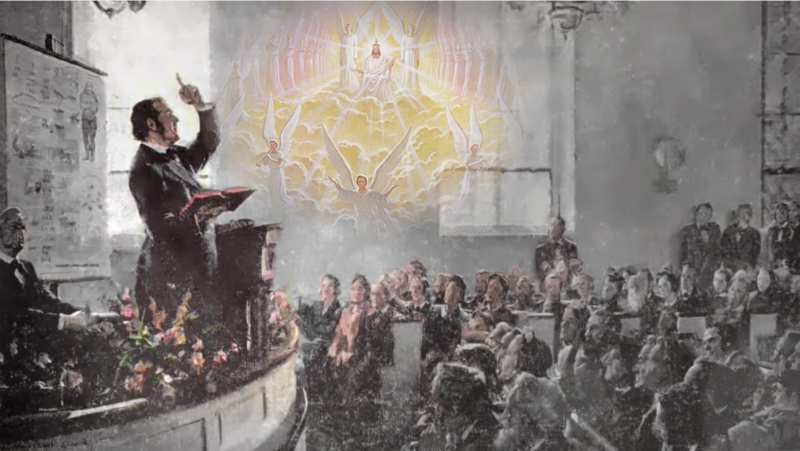 But when the 90 delegates of the 27 year old church with 27,000 members met in 1888, they were already divided over “The Law in Galatians.” Yet there was one thing on which they were in total agreement: There is one God, the Father, and one Lord, His only-begotten divine Son, (1Cor 8:6) whose goings forth was from the days of eternity (Micah 5:2). In this they were united. 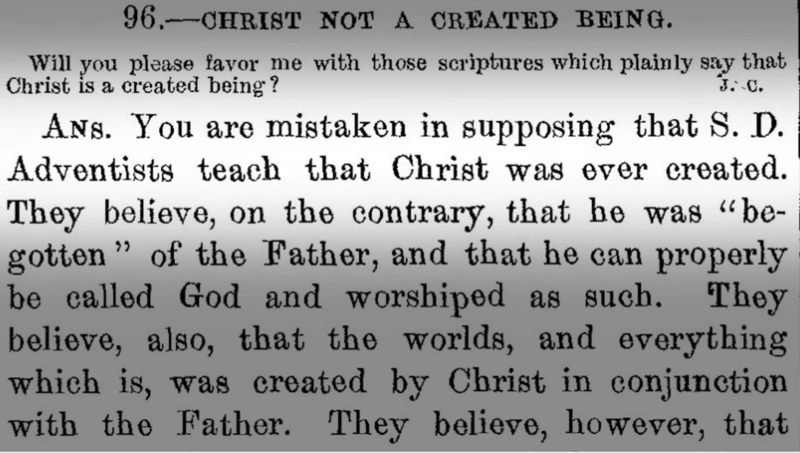 Just 5 years before Minneapolis, W. H. Littlejohn, a co-editor of the Review and Herald, answered a reader’s question about the creation of Christ. “You are mistaken in supposing that S. D. Adventists teach that Christ was ever created. They believe, on the contrary, that he was ‘begotten’ of the Father, and that he can properly be called God and worshiped as such... 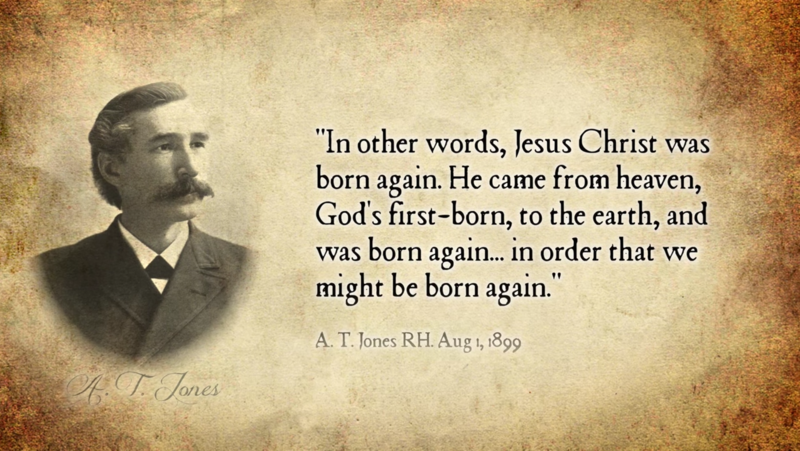 They believe, however, that somewhere in the eternal ages of the past there was a point at which Christ came into existence.” RH April 17, 1883 That same year, C.W. Stone, secretary of the General Conference, wrote in his book, “The Word then is Christ...He is the only begotten of the Father. Just how he came into existence the Bible does not inform us any more definitely; but...we may believe that Christ came into existence in a manner different from that in which other beings first appeared; That He sprang from the Father's being in a way not necessary for us to understand.” C. W. Stone, The Captain of our Salvation, p. 17, 1883. 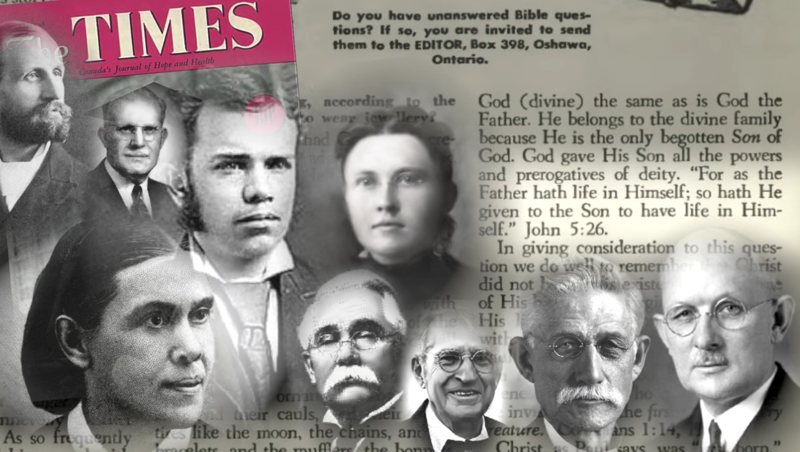 But, now sensing the division that was brewing over the law, Ellen White wrote to Jones and Waggoner, “how do you think I feel to see our two leading papers in contention?” “...we must have more of Jesus and less of self.” 1888 Materials p. 25,26. Waggoner listened and when he gave his series of daily devotions they were indeed “more of Jesus.” He began by exalting the divine origin and nature of Christ to establish that the same power which the Son of God exercised in the creation of the world, is the power that He gives us to resist and defeat sin in our lives. “the only name under heaven given among men whereby we can be saved” (Acts 4:12) for “no man can come unto the Father” but by Him (John 14:6) so that when He is “lifted up” all men will be drawn unto Him (John 12:32), the “Author and Finisher of our faith” (Hebrews 12:2), “in whom are hid all the treasures of wisdom and knowledge” Col 2:3 since “all power in heaven and earth is given” to Him Matt. 28:19 He quoted 1Cor 8:6 “there is but one God, the Father, of whom are all things.” “All things proceed ultimately from God, the Father; even Christ Himself proceeded and came forth from the Father (John 8:42), but it was so far back in the ages of eternity as to be far beyond the grasp of the mind of man.” Christ and His Righteousness 1890 p. 9; also The Present Truth, Jan. 9, 1896. As Waggoner spoke, those in attendance took notes. How do we know? 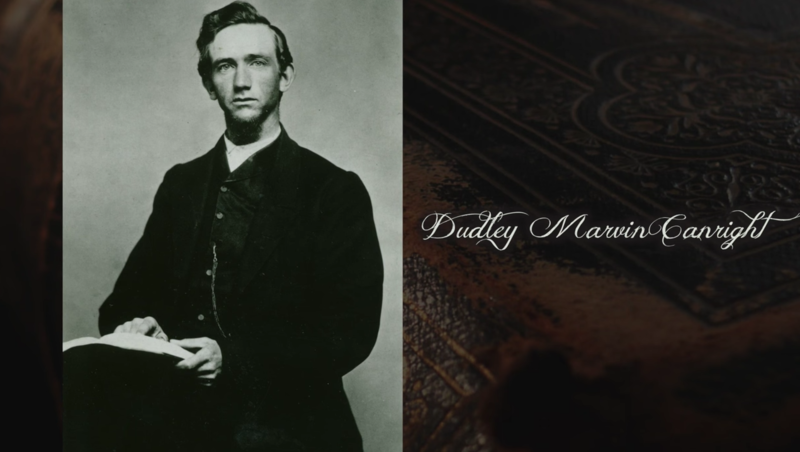 From his words echoed in the articles, books, and sermons in the months and years following by R.A. Underwood, W.W. Prescott, A.T. Jones, Ellen White, Uriah Smith, and even George Butler from his sick bed back in Battle Creek. “We are in ignorance of when this [his begetting] was done. We only know that it was in the eternity of the past; before the worlds and all that in them is, were created.” R.A. Underwood Review & Herald Aug 6, 1889 “Christ, the Word, the only begotten of God, was one with the eternal Father,--one in nature, in character, in purpose” Ellen White Patriarchs and Prophets p. 34 1890 "God had promised to give the First-born of heaven to save the sinner.” Ellen White Desire of Ages, p. 51 1898 “Sustaining the relation they do as the Father and the only begotten Son, precedence in a certain sense must necessarily be conceded to the Father. This implies superiority in duration and rank.” George Butler 1888 Materials p. 1199.1 July 20, 1893 “Christ is the agent through whom God has created all things, but that the Son came into existence in a different manner, as he is called ‘the only begotten’ of the Father.” Uriah Smith, Daniel and the Revelation 1897 edition, p. 400. “He must receive the same honor that is due to God, and for the reason that He is God.” The Bible says so. “In the beginning was the Word, and the Word was with God, and the Word was God.” John 1:1. This “Divine Word is none other than Jesus Christ.” “And the Word was made flesh, and dwelt among us (and we beheld His glory, the glory as of the Only-begotten of the Father), full of grace and truth” vs 18. E.J. Waggoner “He is God” and “the Word was God” in nature, but distinct from the identity of God his Father. Waggoner next probed the meaning of two words: beginning and begotten. The Word was “in the beginning.” The mind of man cannot grasp the ages that are spanned in this phrase. It is not given to men to know when or how the Son was begotten; but we know that He was the Divine Word, not simply before He came to this earth to die, but even before the world was created. Just before His crucifixion He prayed, “And now, O Father, glorify thou Me with Thine own self with the glory which I had with Thee before the world was.” John 17:5. And more than seven hundred years before His first advent, His coming was thus foretold by the word of inspiration: “But thou, Bethlehem Ephratah, though thou be little among the thousands of Judah, yet out of thee shall He come forth unto Me that is to be ruler in Israel; whose goings forth have been from of old, from the days of eternity.” Micah 5:2, margin. To “finite comprehension it is practically without beginning.” Christ and His Righteousness p. 22. At the very beginning of his discourse Waggoner plunged into the eternal origins of God’s Son. 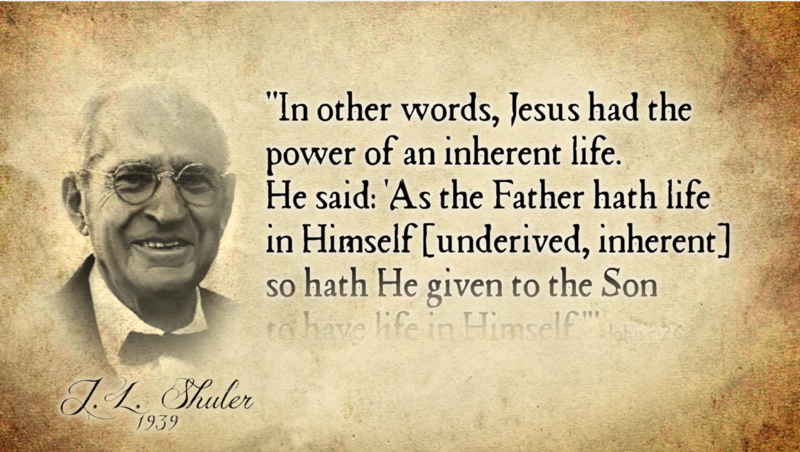 He did not shy away from invoking the word “begotten.” In fact, he exploited it in establishing the undeniable fact that Christ, the Word, is both God in nature and thus eternal. “He hath by inheritance obtained a more excellent name than they,” the angels. "A son always rightfully takes the name of the father; and Christ, as “the only begotten Son of God,” has rightfully the same name. ...Christ is the “express image” of the Father’s person. Heb. 1:3. As the Son of the self-existent God, He has by nature all the attributes of Deity.” “It is true that there are many sons of God; but Christ is the “only begotten Son of God,” and therefore the Son of God in a sense in which no other being ever was or ever can be. The angels are sons of God, as was Adam (Job 38:7; Luke 3:38), by creation; Christians are the sons of God by adoption (Rom. 8:14, 15); but Christ is the Son of God by birth.” Christ and His Righteousness p. 12. 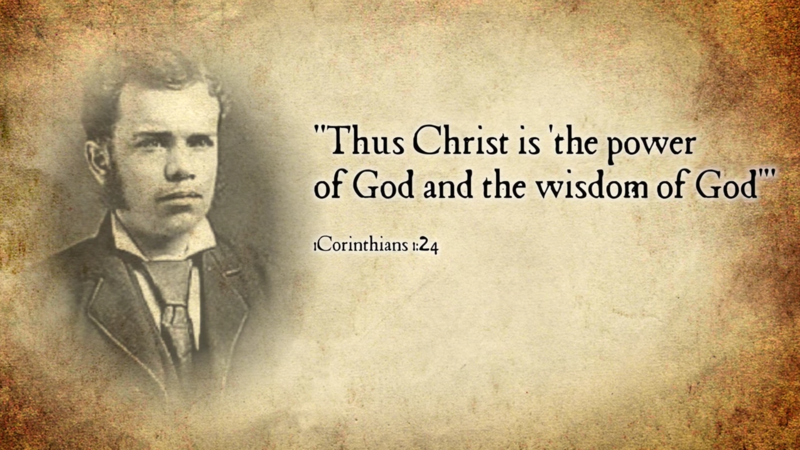 Waggoner continued, “And since He is the only-begotten Son of God, He is of the very substance and nature of God...” “So He has ‘life in Himself;’ He possesses immortality in His own right, and can confer immortality upon others.” CHR p. 22. 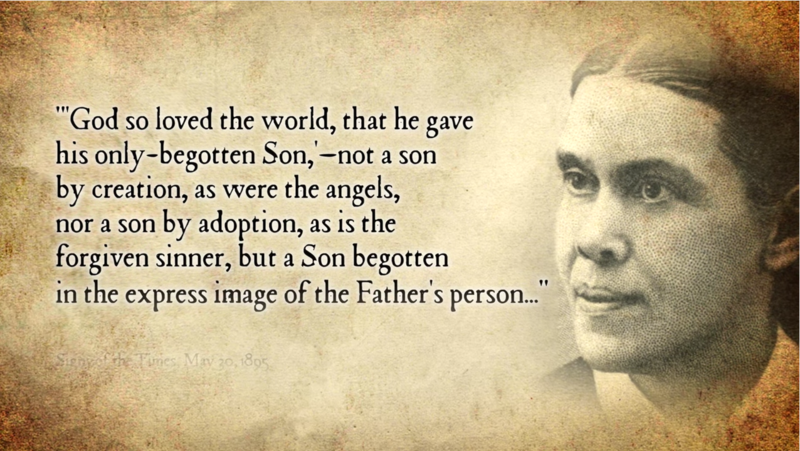 But Waggoner was careful to assure his readers that a “begotten” Son is not a “created” Son. “He is begotten, not created” p. 21. Ellen White understood the difference and expressed it this way, “Though sin had produced a gulf between man and his God, a divine benevolence provided a plan to bridge that gulf. And what material did He use? A part of Himself...” Letter to J.S. Washburn, Sept 18, 1890, 1888 Materials p. 711.3 Waggoner continued,. “We are mindful of Paul’s words, that ‘to us there is but one God, the Father, of whom are all things, and we in Him; and one Lord Jesus Christ, by whom are all things, and we by Him” 1 Cor. 8:6. He then ends by hoisting up the epitome of begotten proof texts, John 8:42. “All things proceed ultimately from God, the Father; even Christ Himself proceeded and came forth from the Father (John 8:42); but it has pleased the Father that in Him should all fullness dwell (Col 1:19), and that He should be the direct, immediate Agent in every act of creation.” CHR p. 19 “Finally, we know the Divine unity of the Father and the Son from the fact that both have the same Spirit. Paul, after saying that they that are in the flesh cannot please God, continues: ‘But ye are not in the flesh, but in the Spirit, if so be that the Spirit of God dwell in you. Now if any man have not the Spirit of Christ, he is none of His.’ Rom. 8:9. Here we find that the Holy Spirit is both the Spirit of God and the Spirit of Christ. Christ ‘is in the bosom of the Father;’ being by nature of the very substance of God, and having life in Himself, He is properly called Jehovah, the self-existent One...” CHR p.23,24. 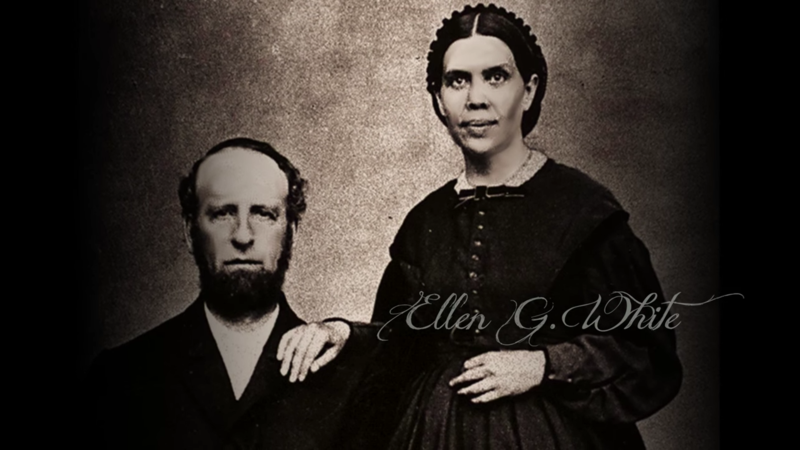 Ellen White was delighted with what she heard. The following year she spoke of her experience. 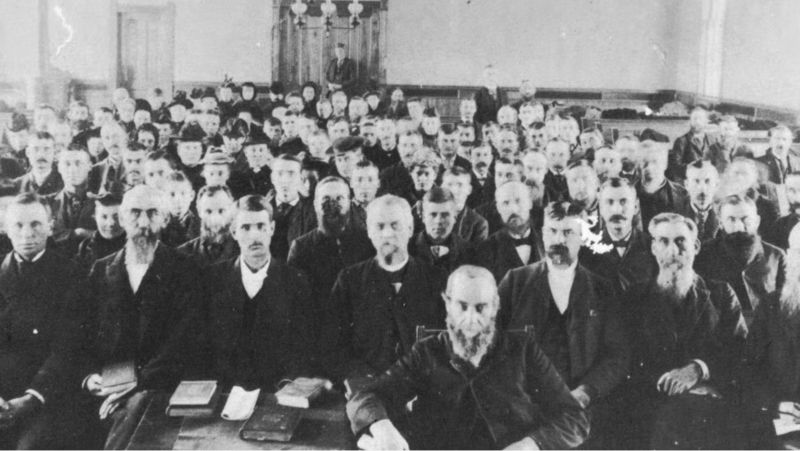 “When Brother Waggoner brought out these ideas in Minneapolis, it was the first clear teaching on this subject from any human lips I had heard...every fiber of my heart said, Amen.” Sermon, June 19, 1889. 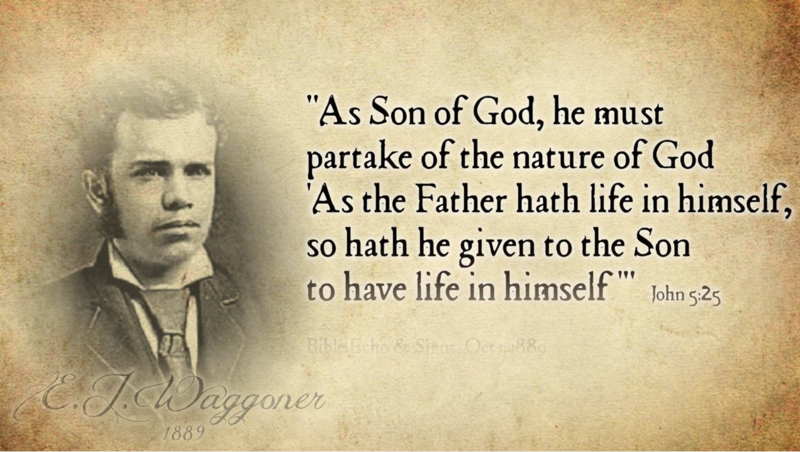 Waggoner, like all the Adventists in 1888, perpetuated the same belief of the begotten Son, a divine Son who received the same Spirit, the same life from His Divine Father. The two are one in nature and in character. Because He “came out” from God, as Eve came out from Adam, He has the “very substance of God” and thus the same self-existent life within Himself. He is the Branch from His Father, the Divine Root, the great Source of life, power and all righteousness.